Back I am with the Future of Online Collaboration / Web Conferencing interview series started last fall and to which I am going to add quite a few new contributions in the coming weeks. The first guest in this new series is Chuck Digate, CEO and President of Convoq, a company that with its own innovative product, ASAP, has been bridging the conferencing, collaboration and live presentation markets. ASAP, which is moving in its second year of life, is a real-time conferencing solution that integrates among other features voice-over-IP, video, high-quality delivery of PowerPoint presentations, application sharing, remote control, instant messaging, advanced presence awareness and event management facilities like no other real-time conferencing solution does. Based on the powerful Macromedia Flash technology (that is indeed taking these real-time industries by storm) Convoq ASAP has been a true pioneering solution in leveraging the potential of instant messaging and presence awareness to deliver easier access to small, informal, just-in-time collaborative meetings that are the core of effective team work. Chuck Digate is a well versed technology expert with a strong business management experience across many successful software technology companies. In this interview I touch upon the traditional set of core questions I have fired at many of my guests before, with a stronger focus on key broad issues relating to markets, competitions, standards and the future to come. His answers show the vision of one brave small company that has no fear in competing with major established players in these industries, as it understands that the weaknesses of its competitors are its own great opportunities. There is indeed space for many courageous and forward-looking companies in these real-time collaboration spaces and Chuck Digate's Convoq is one of those companies that has understood first the disrupting potential of interoperability across different communication tools (ASAP allows users to tap into all of the major IM networks simultaneously) and the extreme usefulness that the smart use of presence awareness mechanisms can bring. Robin Good: What is your definition of Web conferencing? Chuck Digate: Web Conferencing is a product or service that allows a person to present information in real time to one or more remotely located people. The most basic feature is the ability to share the contents of the presenter's computer screen and/or do remote PowerPoint presentations along with some sort of white board or annotation facility. Many systems also include audio and video along with the tools to invite people to a meeting and manage the roster of attendees. Robin Good: What is your definition of Online Collaboration? Chuck Digate: Online Collaboration is any process that allows two or more people in different locations to cooperate on a task. Online Collaboration includes any form of real-time communication, including the telephone and Web Conferencing, information-sharing tools such as the many "groupware" packages, and tools to help locate people, see if they are available, and engage them in solving a problem. Robin Good: What makes one significantly different from the other? Chuck Digate: Online Collaboration is a much broader category. A successful online collaboration tool needs to provide every feature but does need to combine a subset in a useful way. Robin Good: What are in your opinion the core three critical factors that make or break a Web conferencing tool? Ease of getting started with a minimum of installations and configurations. Reliability and availability of the service, including the ability to work through firewalls and include participants on a variety of platforms. Packaged and priced in a way that allows it to be used for everyday tasks. Robin Good: What is contextual collaboration to you? Do you think this is an important concept for online work? Chuck Digate: Contextual Collaboration is the embedding of collaborative technologies into the tools we work with every day. Commonly this takes the form of embedding a "share" button into an application such as a word processor, but we think a far more powerful combination is web conferencing and instant messaging, as it puts the people you need to work with where they should be - at the center of any collaborative process. Robin Good: What is Presence Awareness and why it is so important when needing to meet people online? Chuck Digate: Usually Presence Awareness means being able to see if a person is online and available, but the deeper purpose in a business context is to help one person get in touch with another who can solve a problem or answer a question. This is more than just showing a color-coded buddy icon but can incorporate automated processes for finding the right person based on their presence and their previously-stated intentions. In the real world people use presence all the time. If you want to talk to someone, you walk down the hall and see if they are in their office. Before you barge in, you may look through the door (if it is open) or the glass to see if the person is busy. You may subtly signal to them and see if they beckon you in or wave you off. If the person you want is not there, you may hope to find a note on the door or leave one yourself. You may look for someone else in the same department who can answer your question. When we built ASAP we put many of these presence capabilities into our product. For example, a user can designate someone as a stand-in to be called when offline or can set up a "lifeline" to let the system automatically track down someone who is online and willing to talk. Robin Good: Which are three competitors tools that you have really been impressed with? WebEx, because they can still charge such a high price for commodity Web Conferencing. Macromedia Breeze for innovative use of the Flash platform - which we also use. Microsoft Live Communications Server for their (as yet unrealized) ambition to cover all of the collaboration space. Incidentally, we work with LCS and will build on top of it as Microsoft continues to expand its feature set. Robin Good: In your opinion, what are the factors that discourage people the most in adopting and utilizing these tools on a daily basis? Price - which is why we priced our product to be something people could put on every desktop and use every day. Complexity - Most systems require too much setup. We used the Flash platform so we could allow people to come to meetings without having to install any software. We integrated with instant messaging so one could call people together for a meeting with just a few clicks. Chuck Digate: Most people still experience online collaboration as a formal session where a bunch of people arrived at a predetermined time and passively view a scripted presentation. Those uses are important, but most of the collaboration that goes on in organizations is much more spontaneous and varied. We think there is a tremendous opportunity to support those informal conversations - both by making it easier to find the right person and then by making the meeting more productive by being able to use video and data as well as voice. Robin Good: What do you think of online meeting spaces as actual buildings, conference centers, and classrooms? Do you think carrying over the analogy of physical spaces and their constraints is a good idea? Chuck Digate: There have been a lot of interesting attempts at using physical analogs to help people organize information but people have adapted so well to the computer interface that physical analogies can appear quite awkward. (Remember Microsoft Bob?) These days, the "familiar" interface is Microsoft Windows. The challenge for us was providing an innovative user interface while still taking advantage of everyone's previous learning on computers. Robin Good: For people meeting and collaborating online is security going to be a critical issue in the near future? Chuck Digate: In some environments security is absolutely critical and even mandated by law. We provide for encrypted transmission and give the corporate administrator the ability to require it for all meetings. That being said, most people are just learning about this. The important thing for a vendor is to always be ahead of the curve so that when users discover they need security than can also discover that it's already there. Robin Good: In which ways are the SOHO and "enterprise" markets substantially different when it comes to Web conferencing and online collaboration? Chuck Digate: They both need the same basic functions, but the enterprise customer is usually more concerned with integrating with other corporate functions, such as directories. They also tend to have more centralized control over configuration of machines and installation of software. Robin Good: Are open standards important for the future of web conferencing? Chuck Digate: At the moment, the important standards are the ones that allow an application to run anywhere, such as TCP/IP, HTTP, HTML, Java, and Flash. Most of the client software is so lightweight that it's more important to allow it to load and run quickly (hence Java and Flash) than to worry about interoperability of meeting clients. On the other hand customers will demand the ability to exchange presence information and send instant messages regardless of which service a person is on. Robin Good: How does the future of WebEx, Centra, Live Meeting and other big enterprise players look to you? Are they your competitors? Chuck Digate: I would never bet against Microsoft. They don't own this space yet but have shown they are famously persistent and see online collaboration as a critical technology. Robin Good: What are going to be the major obstacles that the large players are going to meet? Chuck Digate: Microsoft's wants to put its technology at the center of all communications, including what we now think of as the "phone system." That's an incredibly competitive industry with huge players that will not give up easily. Robin Good: What about the small players like you? What's your strategic vision for your company inside the market? Chuck Digate: While an existing, large company can see technological advance as a threat (think of the big phone companies vs. Microsoft) for a more agile player it's an opportunity. As the price of bandwidth and computing goes down, and the capability of the underlying platform goes up, there are many exciting new applications that suddenly become practical to build. For example, the move in the telephone world to Voice-over-IP and SIP means anyone with a server can offer advanced communications services. The adoption of Web Services (XML, SOAP) makes it easier for multiple players to collaborate and deliver capabilities that used to require a much larger scale organization. Convoq will win by drawing on a large swath of white space in the online collaboration market. We have a vision for leveraging peoples' presence and availability in a number of organizational processes, with an initial focus on web conferencing and personal communications. As we grow and the market matures, you will we see us offer a broad array of presence-enabled solutions for automating real time workflows. Robin Good: What do you think has been the major marketing mistake done by Web conferencing companies when it comes to marketing their products? Chuck Digate: Many conferencing companies have designed their offerings to support the scheduled meeting or Webinar-style presentation. While this addresses one aspect of conferencing, it fails to meet the need for ad hoc and unscheduled online meetings. This can be accomplished only by providing integrated support for broad and instant contact access (both email and IM) and a streamlined process for invitees to join a meeting. In addition, traditional web conferencing players are asking their customers to pay an exorbitant amount of money for their services, making it impractical to use on an everyday, impromptu basis. 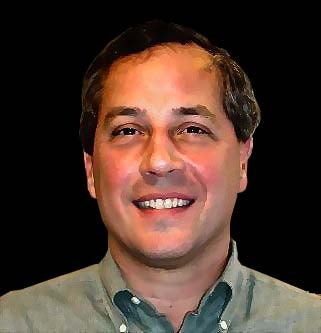 Chuck Digate, is President and CEO of Convoq, a web conferencing, live presentation and online collaboration technology solution provider based in Lexington, Massachusetts (USA). Chuck Digate has a proven track record building and leading successful software companies. Prior to founding Convoq, Mr. Digate served for more than seven years as chairman, president & CEO of MathSoft Inc., a publicly traded software company (now known as Insightful Corporation) developing and marketing, engineering, education, and statistical data analysis applications. Mr. Digate previously chaired Beyond Incorporated, a developer of enterprise messaging systems and before that he spent more than four years at Lotus Development Corp., where his posts included multiple vice president positions. He also spent approximately seven years at Texas Instruments, primarily focused on the company's consumer electronics products, including calculators and home computers. Chuck Digate holds a Bachelor's degree from MIT and a Master's in Business Administration from the University of Michigan. More interviews about the Future of web Conferencing and Online Collaboration. How Do I Review And Approach Web Conferencing Companies? How Do I Select Web Conferencing Tools?